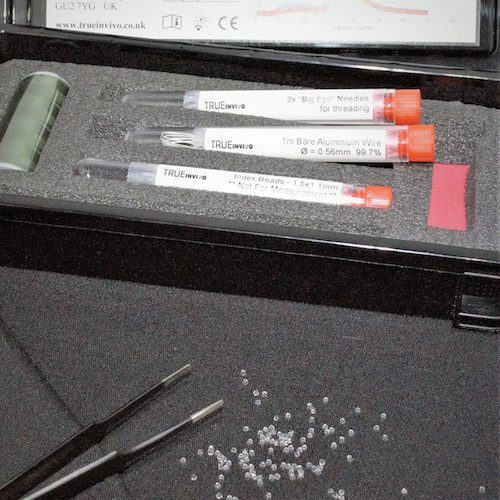 The Researcher Kit contains micro silica beads and the accessories needed to enable users to perform dosimetry for all types of ionizing radiation (e.g. photons, electrons and heavy charged particles) with high resolution. Dose range coverage is from mGy to few kGy. Higher doses can be measured by changing the gain of PMT or using filters.